This lesson will show you how to upgrade from ScreenSteps 1 to ScreenSteps 2 Pro. 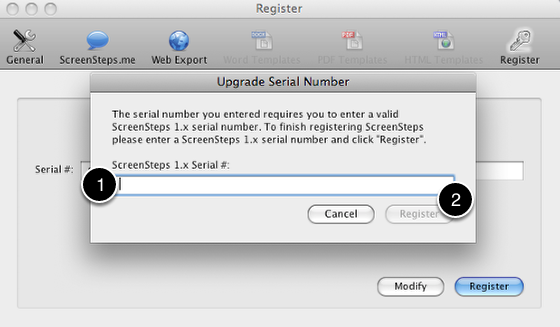 If you already have an upgrade serial key then skip down to the "Register ScreenSteps" step in this lesson. If you don't have an upgrade serial number yet then you will need to purchase one through the upgrade store. You can click on the Upgrade Store link from our purchase page or just go here. Select the upgrade you would like to purchase. 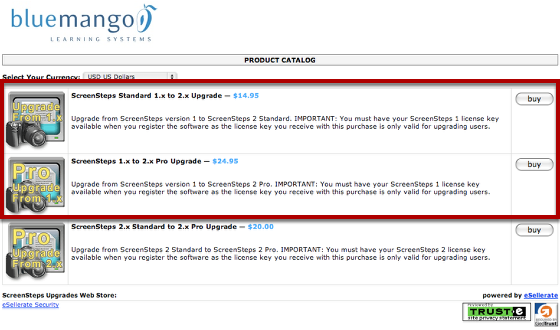 Make sure that you purchase an upgrade from ScreenSteps 1.x if you have a 1.x license key. Once you have an upgrade serial number you are ready to register ScreenSteps. 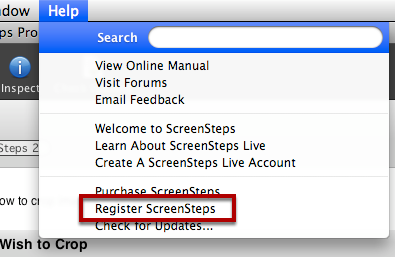 Select Register ScreenSteps from the Help menu. Enter the serial # that you just purchased for either the ScreenSteps 2 Standard or Pro upgrade. 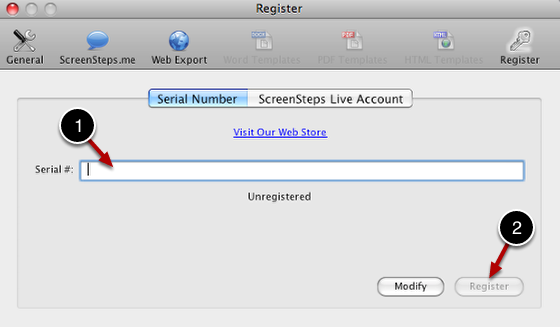 You will be asked to enter your ScreenSteps 1 serial number. Do that and click on Register. You will see a dialog confirming that registration was successful. Be sure to keep both your ScreenSteps 1 and ScreenSteps 2 serial keys in a safe place in case you need to install ScreenSteps on another system someday.